The November Wallpaper is Here! For a long time now, I’ve been wanting to do something special for my readers. Personally, I change my wallpapers and screen savers often and maybe you do as well. If so, I think you’ll love this. So…each month, I’ll be releasing new wallpapers for your phones and computers! I want to ensure that they are cute and inspirational so that you have something to see as a constant reminder throughout the month. 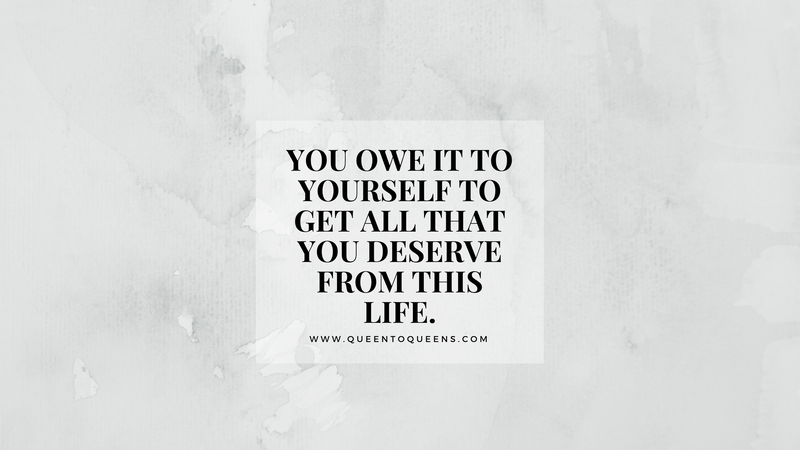 This month’s wallpaper features a quote that I ran across- “You owe it to yourself to get all that you deserve from this life”- and indeed you do. Download your November phone and laptop wallpaper below! Previous Post Tracee Ellis Ross’s Holiday Collection! !